WHOA! 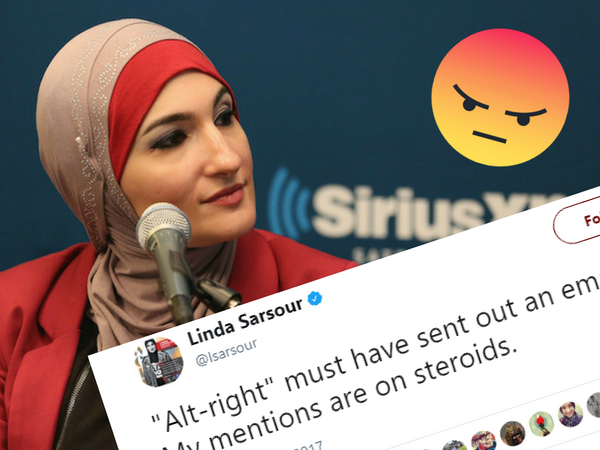 Linda Sarsour Exploits Harvey Hurricane For Donations? Linda Sarsour is a well-known political activist with Palestinian-American roots. On Tuesday, she posted a donation link on Twitter for Hurricane Harvey relief funds, but instead of going to a relief organization, the link led directly to a PAC known as The Texas Organizing Project Education Fund. …massive labor unions like the Communication Workers of America and Service Employees International Union (SEIU), and Faith In Texas, a group that advocates for “economic and racial justice,” among others. At least 20 percent of SEIU’s budget went to political endeavors, according to The Washington Free Beacon, having spent $61.6 million during former Secretary of State Hillary Clinton’s 2016 presidential campaign, and $113 million throughout former President Barack Obama’s 2012 re-election bid. It was also one of the first unions to endorse Clinton in the 2016 presidential election. They have no plan listed for how they plan on spending the money, or what percentage will go to immediate relief. And Linda decided to blame the shadowy alt-right for the attention instead of addressing the concerns. "Alt-right" must have sent out an email blast. My mentions are on steroids.